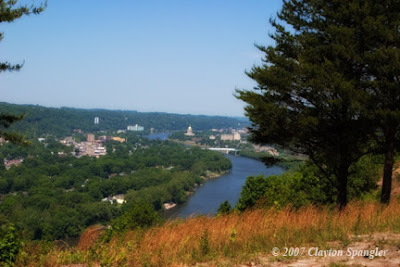 Here is a shot of Charleston WV, that will make some future homeowner very happy. The State Capitol is in the background- middle of the shot. I took a series of these for the developer - The land is being developed for a posh community/suburb here in the good ol WV. Looks like a million dollar view to me.